Vietnam refugees brought pho to America following the war, but it wasn’t until the 1990s that pho became mainstream. The broth appears quite simple, but the flavors are complex. Typically, it’s served with rice noodles, beef or chicken, and herbs and vegetables as garnishes. Here are 10 great restaurants where you can find pho in Oklahoma. The pho at Keo is highly recommended, but everything on the menu is good. The atmosphere is a little more upscale, but don’t feel as if you have to dress up too much. Viet Huong gets rave reviews on Google and Facebook. If you need something to go with your bowl of pho, the gio cuon makes a nice accompaniment. You’ll find traditional Vietnamese cuisine and beer at this homey spot. 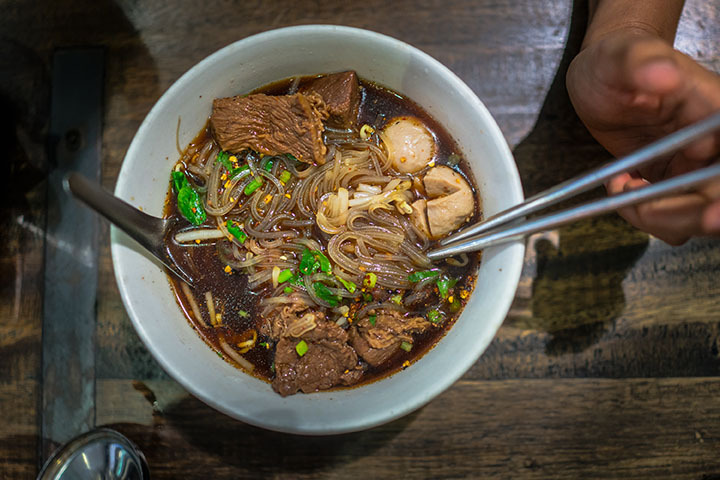 If you’ve never had tripe, get the pho bo dac biet, which is a beef noodle soup served with sliced beef, tripe and meatballs. This restaurant is cash only, but it’s been voted one of the best places for pho in Oklahoma City by Gazette readers. The menu might be small, but everything is executed nearly perfectly. The steaming, hot pho tastes good all year round. The best pho restaurants in Oklahoma City are located near the Vietnamese District at NW 23rd and Classen. Mr. Pho has more than 10 different ways you can order your pho. Go for the brisket and steak. This restaurant opened in 2013, but one of the founders is a Stillwater fixture who emigrated from Vietnam in 1980. She and her partner opened Kim’s to bring Vietnam flavors to Oklahomans. Pho and More offers a large selection of traditional pho, served with a variety of different proteins. One reviewer calls it a "hidden gem." Outside of the metro areas, it can be difficult to find authentic Asian food, but the owners of Mango Tree Café emigrated from Cambodia, a country which neighbors Vietnam. The business just opened a couple of years ago, but it’s getting good reviews of its pho and other foods. This small restaurant is rather unassuming, but it comes highly recommended by locals and tourists. Reasonable prices, friendly servers and delicious food. What else could you need? VII Asian Bistro is locally owned and operated, and it’s in the Asian District on north Classen. You can find the menu on their Facebook page. They have a number of different varieties of pho, and a number of other authentic and traditional Asian entrees. If you’ve never tried Vietnamese coffee, you’ll find it here, iced or hot.